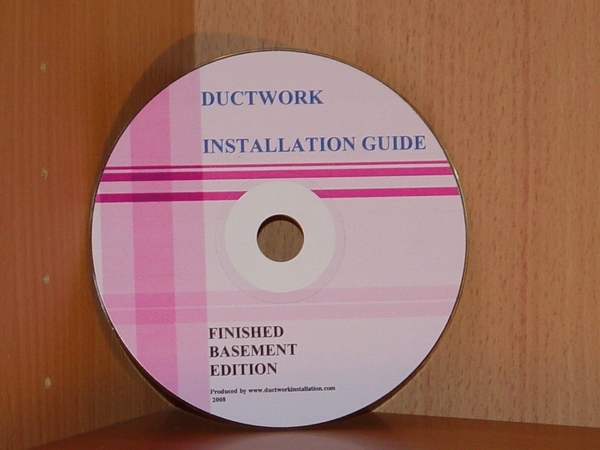 I know only one and this is Ductwork Installation Guide book. Close return vent to increase suction in another room. Yes you can do it, but if it’s so bad I’d redesign and rebuild the entire system. 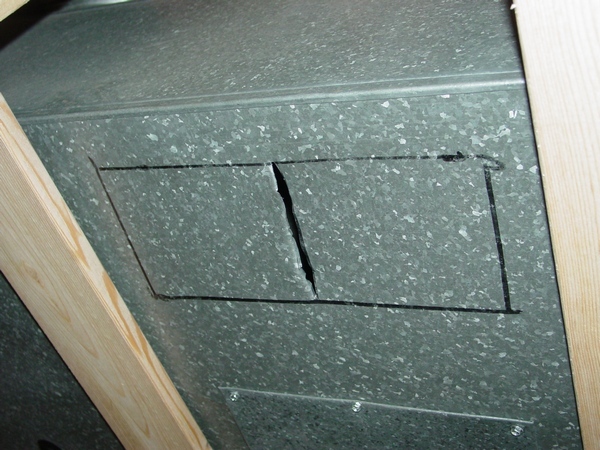 Can you use a 20x20x1 filter return air grille on a 3 ton air handler? How far apart do you space hangers on 14 x 12 ducts? Is it necessary to hook a return vent to a duct? A/C: should cold air move through furnace vent? No, you probably have broken heat exchanger. 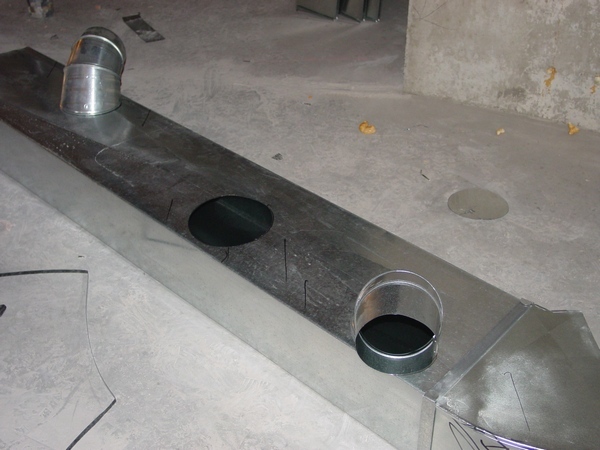 Assembly process for hvac ducting. 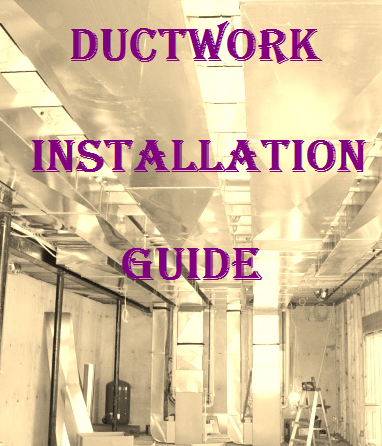 Learn how to do it in my Ductwork Installation Guide book. Cutting a hole in the floor to get cold air out of basement. Does closing A/C register increase airflow in the others? Does closing air conditioning vents in rooms you don't use make the rest of the house cooler? Yes and no at the same time. Temperature in a house depends on the thermostat setting. 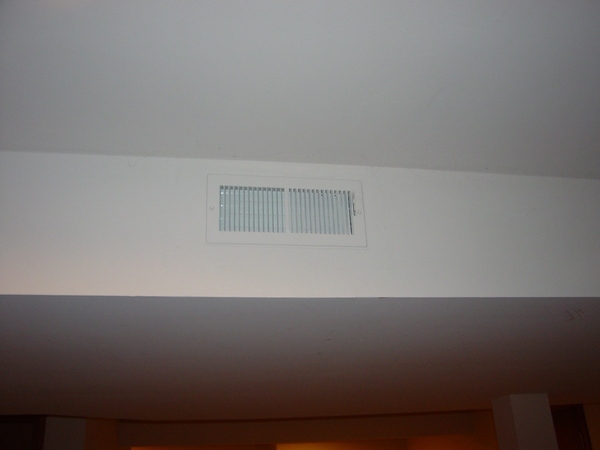 If you close some vents the air conditioner cycle will be shorter because the thermostat will be satisfied faster. Get more info on this page. How to connect round duct work? You have to crimp it first. After how many feet do you have to reduce round metal duct work? Usually you have to reduce round metal duct work after a take-off. Can I use flexible exhaust venting on a high efficiency Trane Furnace? Formulas to get flat length of offset in sheet metal. There is no such thing as “flat length of offset”… Learn how to calculate it on this page. 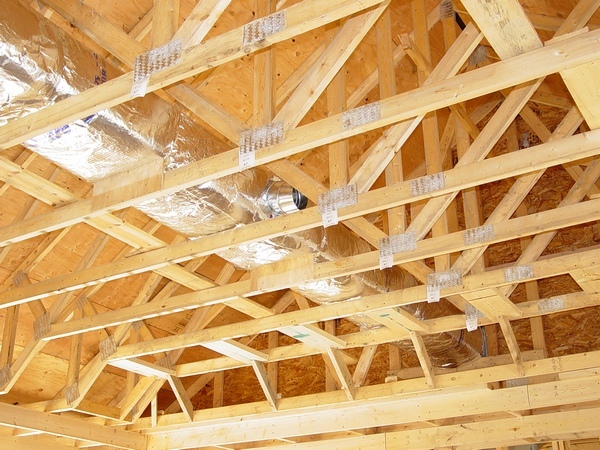 Why is air conditioning duct in Texas in the attic? Is it ok to have one main supply duct for main floor and basement? Where you find the coldest air? Can you please fix the air vent over my head; it is very loud! Can you lay duct work on ground where it floods? 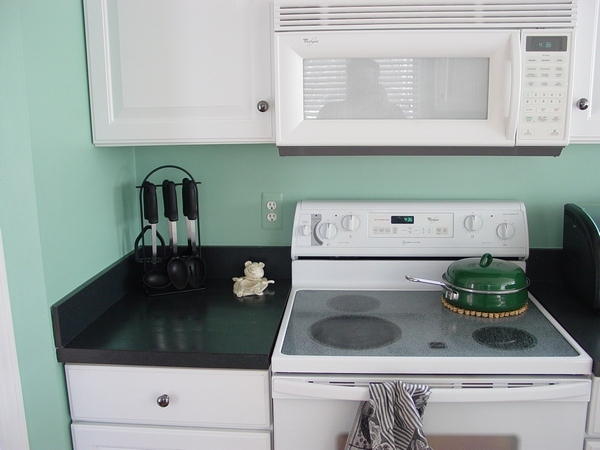 This page is designed to help people to complete their home improvement projects. Below you can see a list of several pages every one of which is dedicated to a certain question answered before or to the one of the important stages of the project. In order to gain accesses to any page please pay an access fee. Just click on one of the “Buy Now” button below the topic that you choose to buy. Once you pay, you will gain an instant access to the page! Register on the site first (recommended), otherwise after you have purchased a paid page; PayPal is going to bring you back to my website. In order to see the paid page you have to click on the “Register” button, fill out the form, choose your own Username and Password and click on the “Register” button at the bottom of the form – congratulation, you are now on the page you have paid for! First off, I just found your site and it what a great resource! I'm finishing my basement and I've been trying to cobble together info on HVAC from all over the web, but I have found all the best info in one spot! I have purchased the cold air return and low heat instructions and should be putting them in next weekend. So as I was hunting around the site some more, I saw the Leaking PVC quiz. I have this EXACT same issue! I would take a picture, but it would look exactly like the one on your site. It was much worse when the heat was on in the winter, but there is still the occasional drip. Please let me know how I can fix it, thanks! Finished Basement Edition is e-book designed just for you! In this book you can find answers to your most frequently asked questions about ductwork installation in basement and more. I am installing a partition wall between the mechanical room and the semi-finished part of the basement. The semi-finished part has carpet, painted walls. But, I do not intend to install ceiling. I want to tap into the existing duct work for air-conditioning / heating. Since there will not be any ceiling, I could just use a round pipe and elbow to blow the incoming air from the top. For the return I need to install something in the wall yet to be built. I am not familiar with all of different types of ducting parts and tools. Therefore, I was hoping that your website could be useful. Any help will be appreciated, even if it costs. If you got a similar question please click the "Buy Now" button below and get the answer. Chapter contains 5 pictures, 3 pages. Price - $2.50. 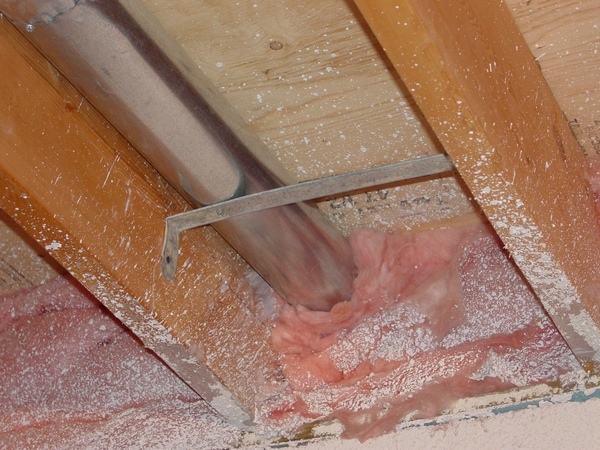 On this page you can find a detailed explanation on how to remove span of duct and how to put it back on. This page has 12 pictures on it. Price for the instant access to the page is only $2.50. I am doing some structural work in my basement and the only way to get in the steel is to take down a span of ductwork, or to cut it. It looks like I can take out the piece I need to, it's about 3 feet long, on one end is an elbow that turns it upstairs through the floor, and the other end joins a larger network that comes from the furnace. I'm not afraid of home repairs, but I am a novice when it comes to HVAC. Is this something I should be able to swing on my own? If so, how do I go about removing the bands that connect the pieces, removing the piece I need to get out of the way and later reconnecting it? This chapters is a part of the Finished Basement e-book and gives a description on the installation of the cold air return on the wall which is separating the mechanical room from the rest of the finished basement. On this page, you can see pictures of all necessary tools and materials and pictures of the system elements installed. There are 40 pictures on this page. All installation is divided into six steps that represents the entire project in the making. This chapter contains instructions on how to cut, put together and crimp a pipe, also it include a video clip. The price for this chapter is only $3.00. This page gives a description on the installation of the sleeve that is a necessary fitting designed to hold a supply register, which should be placed straight down off the main duct. On this page, you can see pictures of all necessary tools and materials and pictures of the system elements installed. There are 20 pictures on this page. All installation is divided into five steps, which represent the entire project in the making. There are 24 pictures on the page. $10.00. 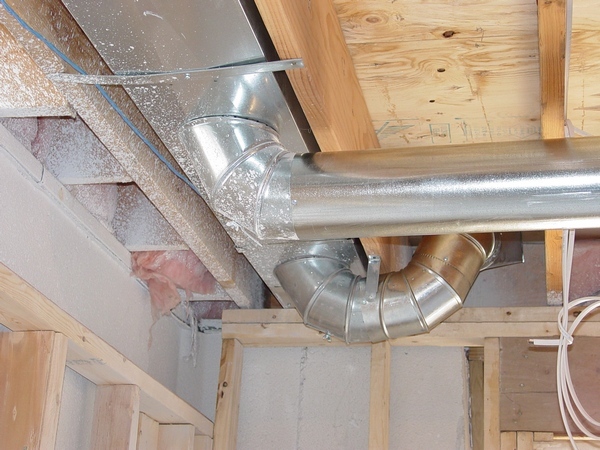 This page gives a description on the installation of the heat duct in the wall, which separates the mechanical room from the rest of the finished basement. On this page you can see pictures of all necessary tools and materials and pictures of the system elements installed. There are 16 pictures on this page. All installation is divided into four steps which represent the entire project in the making. On 04/09/2016 11 pictures were added. This tutorial was extended to cover other types of interior and exterior low heat runs installations and from now on represent them all! The low price of only $2.50 will stay the same for about a month, unless I’ll see a higher demand. On this page you can see pictures of all necessary tools and materials and pictures of the system elements installed. There are 21 picture on that page. All installation is divided into four steps that represent the entire project in the making. 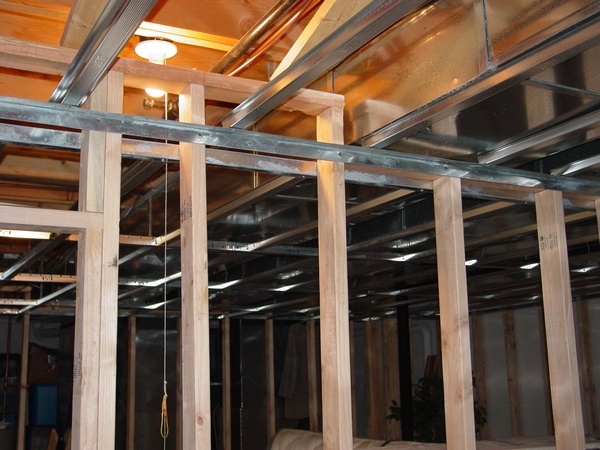 This page gives a description on the installation of the cold air return from the interior wall, which separates two rooms in the finished basement. On this page you can see pictures of all necessary tools and materials and pictures of the system elements installed. There are 19 pictures on this page. All installation is divided into three steps which represent the entire project in the making. 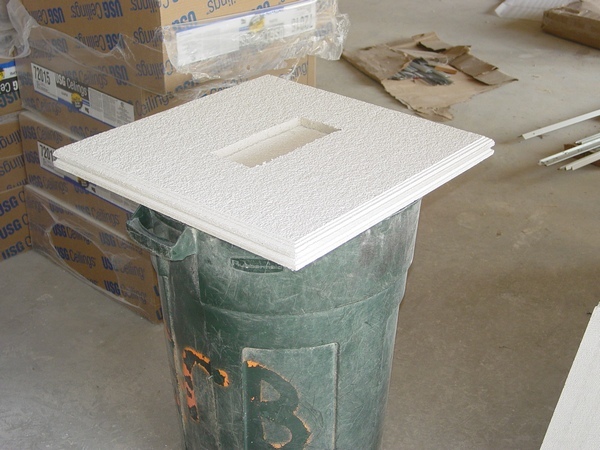 On this page you can find another way on how to drop a register to the soffit right below a supply duct. There are 20 (1 pic. added 01/06/11) pictures of all necessary tools and materials. All installation is divided into four steps, which represents the entire project in the making. Please use "Buy Now" button below, pay $2.50 and get instant access to the page!